The next-gen Mercedes G-Class’ official images have leaked online. While Mercedes-Benz has already revealed the 2018 Mercedes G-Class' interior, this is our first look at the exterior without any camouflage. The 2018 Mercedes G-Class features an evolutionary design and retains its classic look. 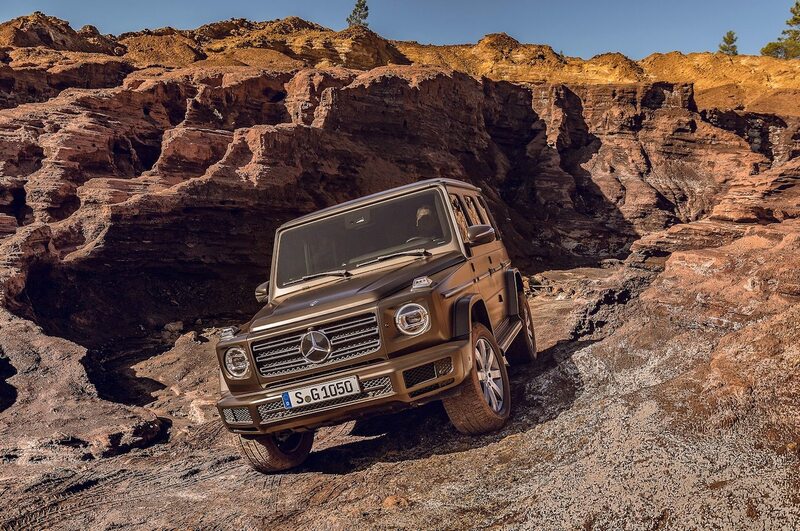 Mercedes-Benz knows its customers want the Mercedes G-Class to look classic even today and so it has retained the 40-year-old look in the new generation model. Thanks to the evolutionary design, the luxury utility vehicle retains signature elements like round headlamps in square housing, rectangular triple-louvre radiator grille, rectangular air dam grille, flat windscreen, imposing wheel arch flares, squarish windows and quarter glass, mildly leaning D-pillar, the parallelism of the roof edge, shoulder line and side sills, compact rectangular tail lamps and side-hinged tailgate with a spare wheel mounted on it. Like the first-gen Mercedes G-Class, the second-gen Mercedes G-Class features a ladder-type frame, three 100-percent differential locks and a low-range gearbox. It gets a new double-wishbone front axle instead of a solid front axle but retains a solid rear axle. The redesigned model features a new ‘G-Mode’ off-road mode, which turns on activating one of the differential locks or engaging low-range. The G mode adapts the adjustable damping of the chassis and the steering as well as the acceleration. It avoids unnecessary gearshifts, and when it is on, a small “G” icon lights up in the instrument cluster. Mercedes-Benz will reportedly offer the all-new G-Class with 2.9-litre in-line six-cylinder diesel, 4.0-litre biturbo V8 petrol and 3.0-litre in-line six-cylinder turbocharged petrol engines. The smallest petrol engine is said to have a mild-hybrid system for greater efficiency. A new 9-speed automatic transmission and a permanent AWD system work together to send drive to the wheels. Magna Steyr will manufacture the all-new Mercedes G-Class in Austria. 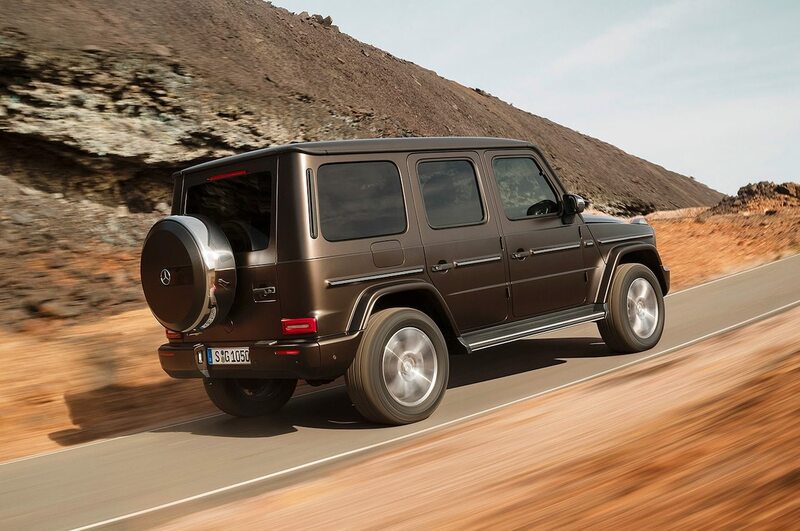 The all-new Mercedes G-Class will go on sale internationally later this year. Contract manufacturer Magna Steyr will build it in Graz, Austria.